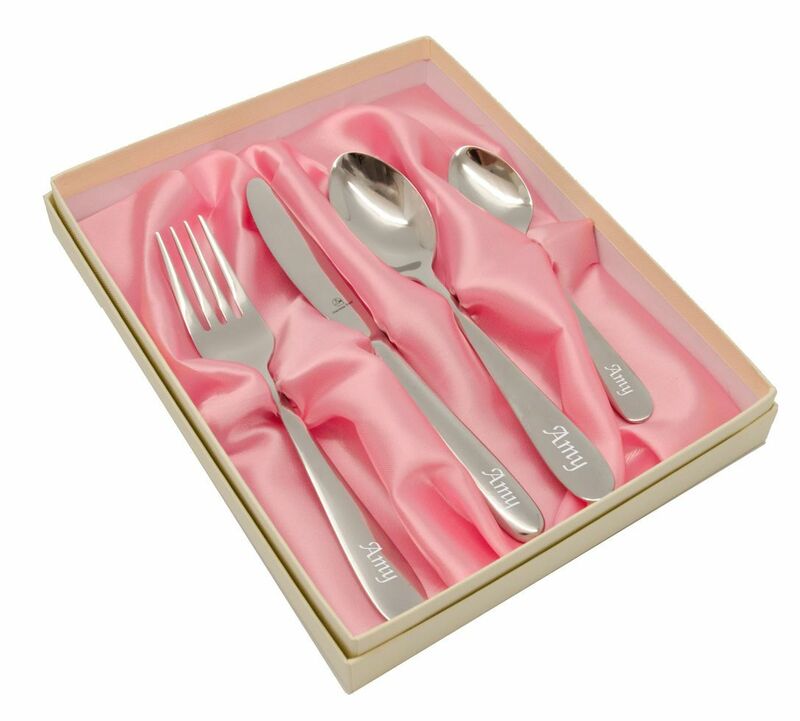 This 4 piece personalised stainless steel cutlery set is beautifully crafted, the edges have been smoothed and rounded to make the set child friendly. 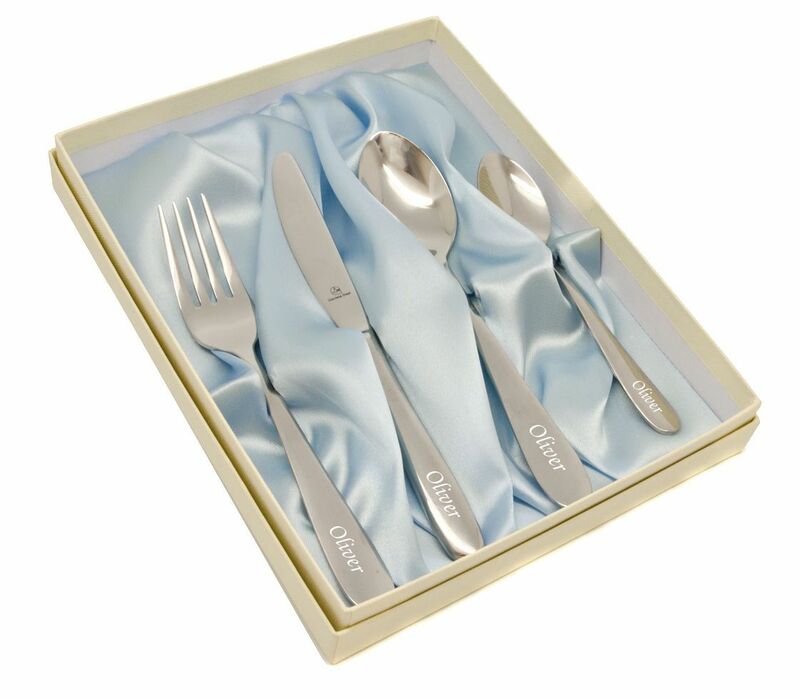 This gorgeous children's cutlery set would make a lovely New Baby or Christening gift for a little boy or girl and can be engraved on the handles with any name. This children's cutlery set is dishwasher safe and includes a knife, fork, dessert spoon and a tea spoon. For engraving we recommend just a name.